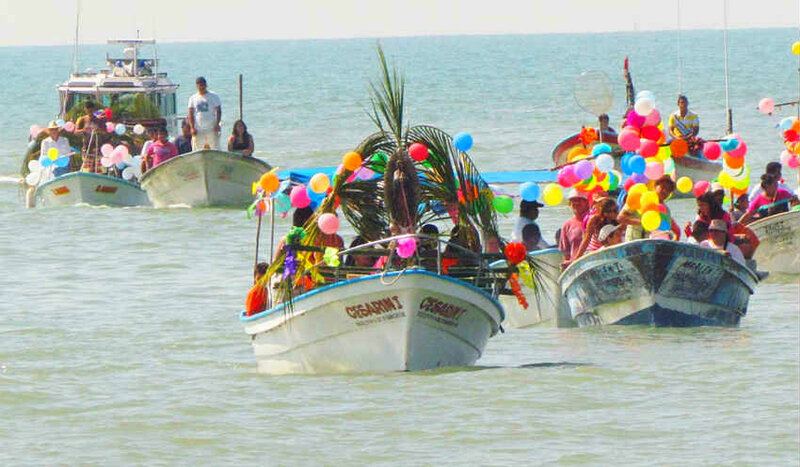 These religious festivities are a great way to boost tourism in the Riviera Nayarit’s coastal villages. Bucerías (place of the divers) is hosting patron saint festivities to honor Our Lady of Peace from January 16-24. 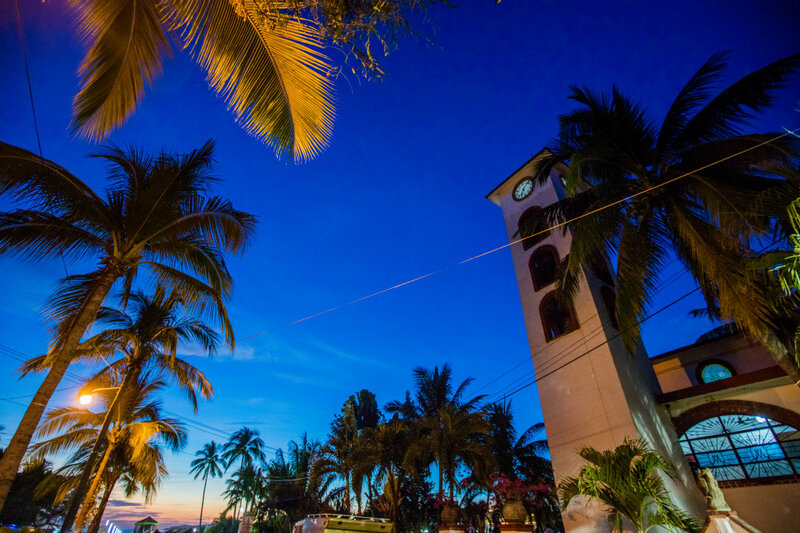 This is one of the most deeply rooted traditions of this coastal village in the Riviera Nayarit. The importance of this celebration is not only social and cultural, but it has also become a tourism attraction in the destination. There is a full program for the week, including religious services as well as sports, artistic, and cultural activities. The “big” day is on January 24th, when the fishermen and their families participate in a pilgrimage over the sea, taking the Torch of Peace from the community of La Cruz de Huanacaxtle to Bucerías, a procession that’s taken place for the past 56 years and is one of the top attractions of the festival. When they arrive in Bucerías there will be a mass offered for the Virgin at the Our Lady of Peace parish, where the local fishermen will come together to pray for a good year of fishing, tourism, health, and prosperity for the area’s families. The novena, which begins on January 16 and ends the 24, includes the participation of nine sectors of the community with their respective pilgrimage and parade floats honoring the Virgin. 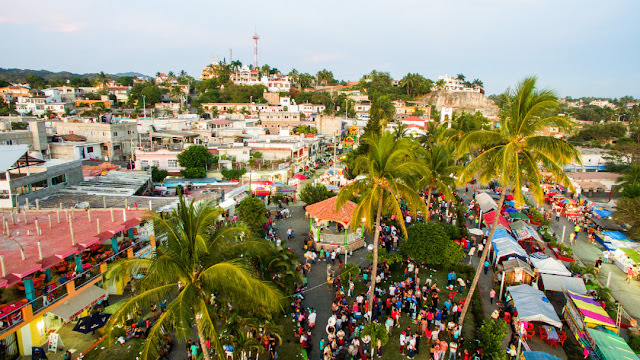 Every morning at 6 a.m. the traditional Mañanitas are sung, and every evening starting at 8 p.m. there will be a cultural-musical festival at the main plaza. The Our Lady of Peace Patron Saint Festival unites not only the people of Bucerías, but also the nearby towns and even resident Canadians, as well as the domestic and US community. The Riviera Nayarit Convention and Visitors Bureau extends an open invitation to all the citizens of Bahía de Banderas as well as the nearby municipalities to participate in this traditional patron saint feast, which year after year captures the attention of locals and foreigners. It’s a tradition that’s turned into a tourism attraction. “The religious festivities are a great way to boost tourism to the destination’s coastal villages,” said Marc Murphy, Managing Director of the Riviera Nayarit Convention and Visitors Bureau (CVB), and Director of the Bahía de Banderas Hotel and Motel Association (AHMBB). Bucerías is located between Nuevo Vallarta and Punta Mita. It has 8 kilometers of beach—the longest in Bahía de Banderas. Its shallow waters and calm waves make it the ideal place for kitsurfing and swimming, and its beaches are perfect for walking or jogging. The Riviera Nayarit Convention and Visitors Bureau (CVB) and the Bahía de Banderas Hotel and Motel Association (AHMBB) reaffirm their commitment to the strategic promotion of the destination, seeking areas of opportunity including religious tourism, consolidating new markets in order to increase the influx of tourists, with the full support of the Government of the State of Nayarit via the Tourism Promotion Trust (Fiprotur).